Bowling and casinos are both great ways to get out and enjoy the company of friends and family, but one provides significantly more revenue and jobs to an area than the other. This simple fact has residents of Albuquerque, New Mexico, questioning the recent decision of its major’s office to green light the development of an upscale bowling lounge instead of a tribal-owned casino hotel. To put things into perspective, let’s take a closer look at the potential impact of the two projects on the city’s economy. The upcoming bowling lounge, which will also include office space, apartments and a parking garage, is expected to create 200 construction jobs and 120 permanent jobs for the city. However, the plan proposed by Geltmore LLC on behalf of the area’s Indian tribes was expected to create between 4,600 and 4,800 permanent jobs for local citizens. Under the terms of Geltmore’s proposal, the vacant lot in downtown Albuquerque was to be transformed through the construction of a 12,000 seat multi-purpose arena and a tribal-owned casino hotel jointly owned by the Sandia Pueblo, Isleta Pueblo, Laguna Pueblo and Santa Ana Pueblo tribes and operated by a publicly-traded NYSE gaming company. Despite the obvious benefits, the mayor’s perspective on the casino plan was “an absolute no,” according to his chief of staff. The reasons for this decision range from the difficulty of putting the land into a trust to the lack of family-friendly atmosphere, which the administration currently has envisioned for the downtown area. In other words, Albuquerque traded jobs in exchange for keeping gambling out of that part of the city. The city remains in negotiations with the party that submitted the bowling alley proposal, and the project is estimated to be complete as early as 2017. While the family-friendly atmosphere of a new bowling alley will certainly fit the bill for the mayor’s vision of the city, some parties are questioning the decision to forego the creation of thousands of permanent jobs and considerable tax revenue for Albuquerque in the future. While you won’t be able to do any downtown gambling in Albuquerque for the time being, that doesn’t mean that you don’t have plenty of options for casino fun in and around New Mexico’s largest city. On the contrary, the city has plenty of destinations to suit your craving for casino action without the need to travel too far. The Sandia Casino and Resort, Isleta Resort and Casino and Route 66 Casino Hotel are among the full collection of casinos located within the city limits. 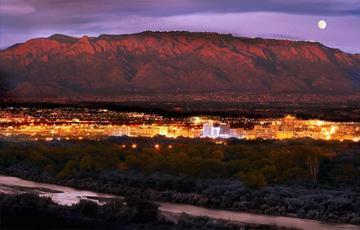 The results in Albuquerque seem unlikely to deter what has been an exciting year for the casino industry thus far. As the country continues to add more gambling destinations in an effort to capitalize on insatiable demand, it’s becoming easier than ever before to take a quick trip to the casino and put your luck to the test. Whether you play in a brick and mortar casino or at home through Silver Oak, there’s nothing quite like having a dance with Lady Luck.